I know tomorrow is Thanksgiving, but we already made a gingerbread house early. That's because my daughter wanted to make this one last year, but by the time I went to buy it they ran out. So I got one early this year. My #1 tip for you is to glue the house together. After years of making gingerbread houses and have them usually collapse - we figured out to glue them, instead of using the frosting to hold them together. Unless you plan on eating it - which I never do anyway. 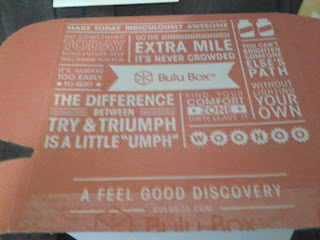 I received a Bulu Box from the company to facilitate this review. Help reach your health and fitness goals with monthly motivation from Bulu Box! Bulu Box is the first health and wellness sample box. Each month of your subscription you will receive 4-5 premium vitamin and supplement samples to try within your lifestyle. Share your thoughts about each product in our sample surveys and you can earn 50+ Rewards Points (that's $5!) each month! Use your points to purchase your new favorites in full size at BuluBox.com! Here you’ll also get expert tips, tricks and a supportive community of Bulugans just like you! Join the discovery and find a healthier you! PowerIce - a frozen bar of electrolytes and energy to power you through your workout. And not pictured - a chocolate protein shake - called Slimming Smoothie - that I tried before I got a picture. This seems like a good way to sample health products and see what you may like. 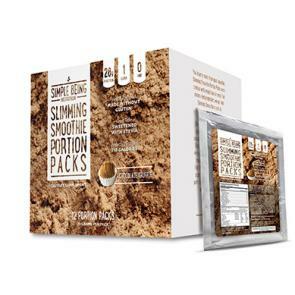 As I mentioned I only tried the smoothie so far, but look forward to trying out these other products soon! Get your 1st Bulu Box FREE! Get your first 3 Bulu Boxes FREE! Please Visit the Bulu Box website for purchasing and for more info! 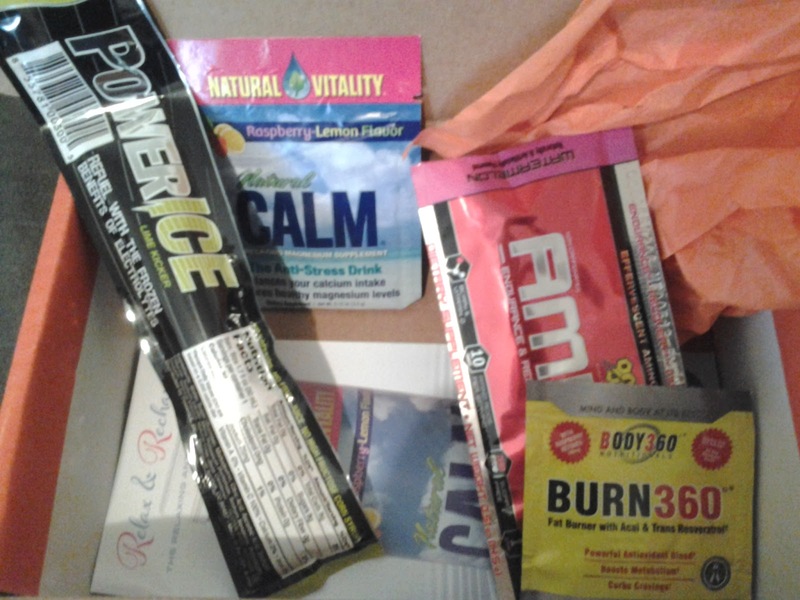 Hi, I received the following products free - to review from the company Parnevu. The first product I would like to tell you about is the Parnevu T-Tree Shampoo. PARNEVU T-Tree Shampoo is a unique blend of botanicals designed to cleanse the hair and scalp of impurities. Its ultra-rich formula penetrates the hair to replace and lock in vital moisture lost to chemical damage and everyday styling. It leaves hair soft and manageable. Specially formulated with Australian Tea Tree Oil (Melaleuca Alternifolia) to help eliminate itching and flaking when used on a regular basis. This shampoo works good as far as I can tell. It is sort of a thick shampoo and a yellow color. I have some pure t-tree oil that really smells very strong. So I wasn't sure about the smell in the shampoo, but this doesn't not have that strong smell. So don't worry about that. It smells very nice. And I do have a dry scalp usually, and think this shampoo may be helping with that! The next product is Parnevu Hair Mayonnaise. provides intense rejuvenating therapy specially formulated for weak, damaged or over processed hair. Enriched with olive oil, egg protein and herbs to promote healthy hair and scalp. It works from within the hair shaft to help strength fragile roots, mend split ends, and moisturize dry brittle hair. The first couple of times I used this I did it as the 10-15 min hair mask. I put a bunch in my hair and then put a towel on it. Let sit and then rinse it out. The hair mayonasse I have to say smells great. I think it has a bit of coconut scent? Maybe. Well anyway today I noticed that it also said you can use it as sort of a leave in conditioner too. Rub a small amount into the ends of your hair. Or that's what I did, after the shower and towel drying a little, I added a little of the hair mayonnaise in my hair and left it in. I really added some bounce to my hair! a SUPER lightweight, non-greasy formula that lubricates the hair with Australian Tea Tree Oil (Melaleuca Alternifolia), helping reduce itching and flaking. Great to use on dry, damaged hair, leaving it smooth and shiny. Use for extra control around the edges, quickly controlling frizz and flyaways. This product, I seriously will consider purchasing again! I really love this product. I've been blow drying my hair a little, then spray some of the glosser on both sides of hair. I really think this helps with my frizz and helps my curls. I'm not kidding that, after about an hour later, of using this is when I see a difference in my hair. And an added plus it smells awesome! When my daughter came home from school the other day, and gave me a hug, she said I smelled really good, and I'm pretty sure it is from the T-Tree Spray Glosser! I think these show my hair sort of frizzy before, and more curly and less frizzy afterwards! I received the above products complimentary from the company, for review purposes. All opinions are my own. Hi all! I am reviewing a website today called Tmart. And in order to facilitate this review, I received a product free from Tmart.com. Tmart.com provides a majority of well-known products for individuals and businesses of all size. With a wide selection of products at a low price, we have been universally recognized for our honesty, high efficiency and comprehensive service and built long-termed relationship with many companies. Meanwhile, Tmart.com is the best source for everything you want. Tmart.com store provides cool gadgets, cell phones, consumer electronics, LED flashlight, car accessories, phones accessories, computer accessories, games accessories, holiday gifts and security camera. I was given the opportunity to pick something from the website. And don't tell my son, because I'm saving if for Christmas. But what I chose was one of the Tmart PS3 Controllers. There is a great selection of PS3 controllers at Tmart. This particular controller is priced at just $9.77. And did you notice in the company info I posted above - the Free WorldWide Shipping? Wow! Well anyway, my son is really going to love this controller. I was just looking at the features of this. And noticed that this one has that rumble feature. You know where you can feel the action? Another thing he will like about this - is that it can be programmed to use on your PC too. So that is really cool. So if you are looking for great deals on thousands of products I would really recommend checking out Tmart.com. They also are having some great Black Friday deals starting now! Check it out! I received the above product from the company for review purposes. All opinions are mine. please disregard the writing/whited out parts - lol! This is actually just a proof. 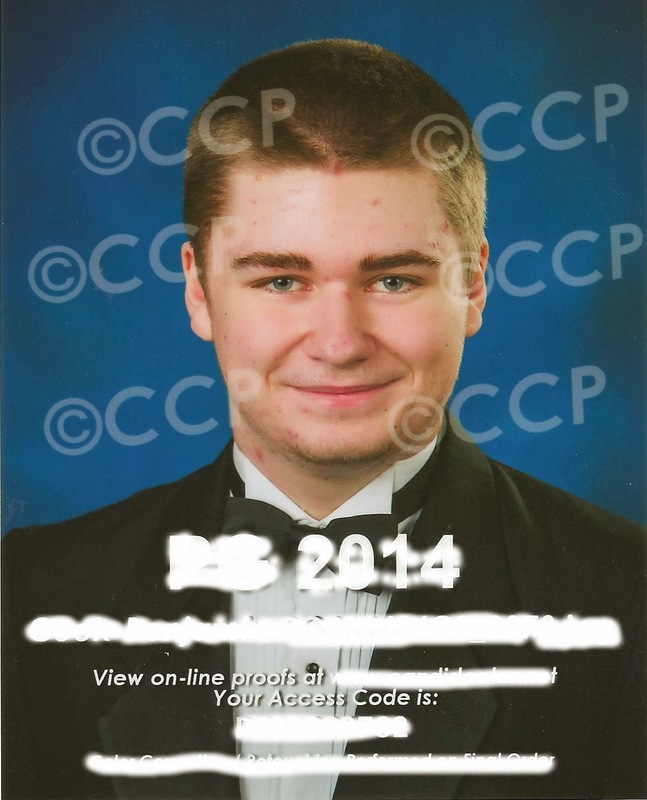 Being that my son is a senior this year. I had to pay extra just for 4 proofs. Now to get just one - say 5X7 - I am going to have to pay a lot for it! The only reason I guess is because the seniors can do a whole photo shoot, a variety of pics, poses, wardrobe changes. You didn't have to do that & my son was one of the one's who just wanted this one pose. But it is still going to cost me like 3 times as much just for one picture! I have til January to order, I will order a real one soon! lol. Oh well, I really like this picture anyway! Buying a home can be a daunting task. You want just the perfect space for the family, but there are so many factors to consider. It’s a big investment and a big decision. If you are first-time home buyers, the process can be even more anxiety-ridden, because you may not know what to expect or what to look for. It may seem like you have looked at every house in town before you find any that even remotely fit your must-have list and are in your price range. It’s easy to get frustrated when looking for the perfect home, but instead of giving up make a list of the pertinent facts you need to remember when searching for your ideal home. Here are a few tips to get you started on what to look for when buying a new home. It may not be nice to hear that word in the home search, but there is a strong element of reality in the process of buying a home. Sure, it would be nice to have balconies, a nice backyard, new windows, an open concept, and move-in ready features. However, it’s important to consider your price range against your list of must-haves and do some research to know what’s realistic in the area in which you’d like to live. If you go into the hunting process with realistic expectations, you’re less likely to be disappointed when your realtor leads you to houses you can afford. Know which items are absolute must- haves for you, and which ones would be nice but aren’t completely necessary. You may walk into a house and be immediately turned off by bright, weird paint colors, when in reality those things are easy to fix. Try to ignore paint colors, carpet colors, a tacky choice of furniture, and other cosmetic deterrents. RE/MAX of Ohio can help you determine what pieces can be changed and which are permanent. Many items can be changed in a matter of days. Bigger issues, however, like an awkwardly placed wall, a new water heater, electrical problems, or mold can take serious dollars to remedy. If you’re willing to purchase a fixer-upper, be sure you know as much as you can about what you’re getting yourself into before you sign anything. Pay attention to the location of the house. Is it on a busy street? Will noise prevent you from having a sanctuary in your home? Do you feel safe in the neighborhood? Knowing ahead of time what your noise standards are will help you decide whether the home is a good fit. These are all important questions to consider before you buy your home. Remember to not get discouraged – soon enough you will find your ideal home and you will feel thankful you took the time to think over the necessities to home owning prior to making your decision. About the Author: Jessica is a writer who enjoys doing research on home owning and what to look for when buying a new home. Do you guys know about Netflix? Well it is a great way to stream movies, and TV shows into your home. Now you can enjoy your favorite shows and movies anywhere and anytime. You can watch on your iPad in the kitchen, the big screen TV in the living room. You can even watch on your phone while in the grocery store. I know my kids even watch it on their gaming systems. And I have watched it on my tablet too. And this holiday season, Netflix is making it easier to bring the family together. They will make suggestions for you on what your family may like to watch. You could watch a cool movie or TV show while your turkey is cooking! Netflix has also paired with Chef Curtis Stone to create custom recipes to go along with movies and shows on Netflix. The one I am going to post about is called Red's Orange White Russian. Which is a perfect accompaniment to the show Orange is The New Black. Make-Ahead: This cocktail is best served as soon as it is made. grate some orange zest on top. Serve immediately. I've heard a lot about this show - Orange is the New Black and am really looking forward to checking this out. I also want to have a movie marathon with all the holiday movies. Like the movie The Christmas Story. This is the perfect Thanksgiving and Christmas movie to watch, while your cooking your holiday meal. Another show I want to catch up on is House of Cards. This would be great to watch in the kitchen while doing all the tasks - like peeling potatoes! Or basting the turkey. Maybe watching Planes, Trains and Automobiles. That is actually about trying to get home for Thanksgiving! I always loved that movie. It would be fun to watch it while cooking in the kitchen. What movies or tv shows would you and your family like to watch while working in the kitchen? Please share in the comments! The glycolic acid found in Ageless Derma Anti Aging Glycolic Facial Cleanser gives this exciting new cleanser the ability to exfoliate dead skin cells by penetrating the skin’s surface area giving the face a brighter, more youthful appearance and texture. Ageless Derma facial Cleanser contains Ubiquinone, otherwise known as CoEnzyme-Q10. Ubiquinone is a potent antioxidant that penetrates the skin with ease, allowing it to work deeply. One more ingredient that makes Ageless Derma’s Gel Cleanser so effective is soluble collagen. This is a protein built from amino acids that will add structure, springiness and elasticity back to your skin. I've been using the Ageless Derma for a little over a week now and I am really impressed with it. Using the cleanser I noticed that it is a somewhat thick clear gel. As far as I can tell it does not really have any scent either. I have been washing my face with it, and spreading a small amount on my face added with some water. The cleanser does foam up a little as you rub it in. Rinsing and patting dry, I notice how smooth my skin feels after. It really seems to be a deep cleanser, but it will gently remove dirt from your pores and remove dead skin cells too. The collagen will help to bring back some elasticity to your skin. I am really liking the Ageless Derma Cleanser! For more info on this product and for to purchase please visit the sponsor's website here. They are the Dr. Scholl's for Her Cozy Cushions. I'm sure you have heard of Dr. Scholl's before - or even gotten one of their different insoles before. But these are a little different then other ones you may have seen. Dr. Scholl's® For Her Cozy Cushions help keep feet warm and dry while providing all-day comfort. Their multi-layer design helps insulate the foot while two plush layers provide extra cushioning. Cozy Cushions help keep feet dry by absorbing perspiration and offer superior support on hard surfaces. 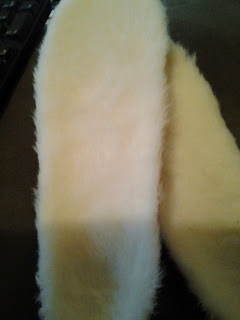 I don't know if you can tell in above picture - but they are fluffy and soft cushions. These are perfect to keep your tootsies cozy and warm inside your boots or shoes this winter! If you would like a coupon then GO HERE, you can get $2.00 off any Dr. Scholl's for Her product. Disclosure: I received this product complimentary from Influenster. Disclosure: The following is a Sponsored post through Social Moms and Giving Comfort. All opinions are 100% mine. I haven't mentioned my families struggles with Cancer much. But my family in the past few years has been touched with cancer. 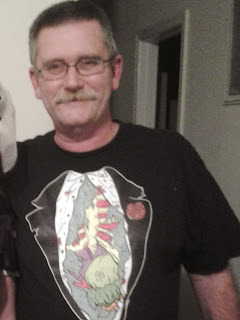 Almost a year and a half ago, my step-sister passed away. She was diagnosed about 5 years ago with lung cancer. It was very sad when she passed away. She left behind many who loved her, including her loving husband, son & daughter. And sadly she missed the birth of her first grandchild, who was born only a few months after she died. Also around this time one of my other sisters was diagnosed with brain cancer. They operated on a brain tumor about a year ago. But it is not able to be fully removed. So she has had to undergo radiation, and chemo to shrink it. She has to get regular scans to check the growth of the tumor. She was doing ok for awhile, but last time I talked to my mom, she said she was getting headaches again, and was not doing so good. So she has to get some more tests and see what the doctors want to do next. That is why when I heard about a great program called Giving Comfort, I really wanted to participate. I want to help spread the word about this terrific program. Through this website, you can donate a giving comfort kit to either someone you know or even to someone you don't. There is a variety of kits to choose from. Including ones for young boys and girls, teens, men and women. 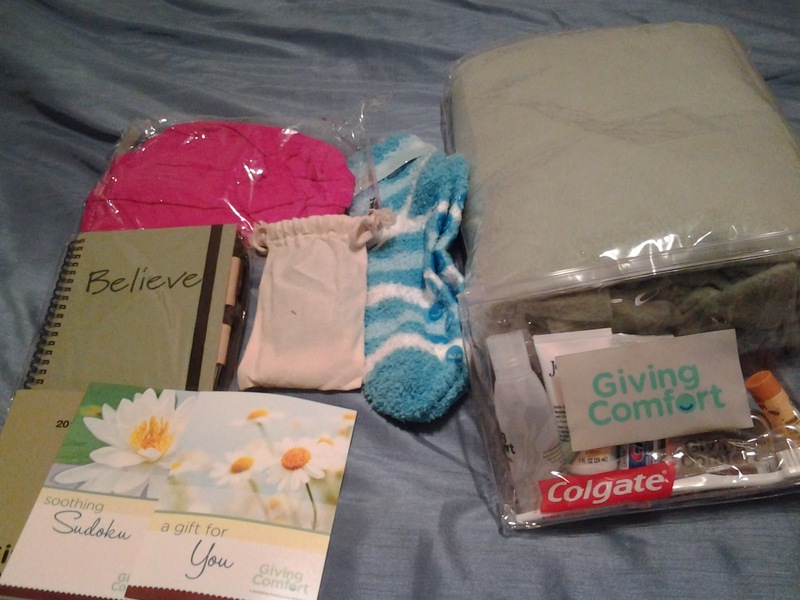 What it includes inside is: a fleece lap blanket, sleep cap, socks with grippers, sugar free mints, herbal tea, a toiletry bag inside that is burt's bee lip balm, toothbrush, toothpaste, hand sanitizer, unscented lotion, a free year subscription for a magazine. also a sudoku puzzle book, journal, pen and a pocket calender. I am going to ship this up to my sister as soon as I can. Because I know she could really use some comfort right now. Hopefully this will bring a smile to her face when she gets this. If you would like to purchase one for a loved one please visit the website. As I mentioned you can also make a donation for a kit, and they will make sure they give it to a patient in need. 100% of your donation will go to provide comfort to someone who really needs it. Giving Comfort is a charity initiative through the McKesson Foundation. Each year 1.6M people in the US are newly diagnosed with cancer. 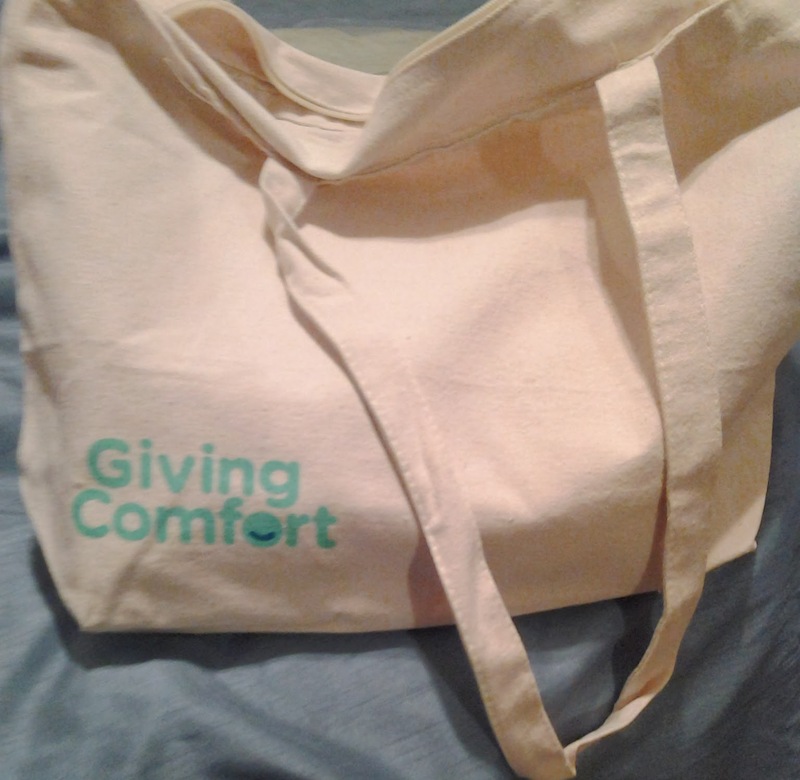 Giving Comfort can help by giving them the items that are requested the most, to help them through their treatments. I hope you will consider giving a comfort kit to either a loved one or donating one to someone in need! 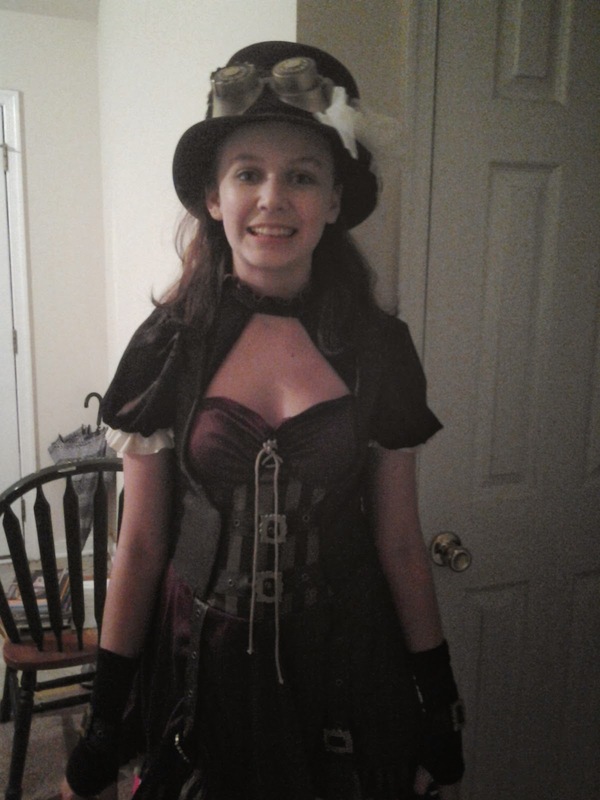 She's in 8th grade this year! Hi guys! I have an awesome giveaway & review for you. 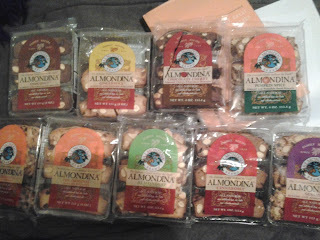 It is from the company Almondina. Almondina Biscuits are an indulgently tasty snack with minimal calories. They are thin, light and crunchy. If you would like to read more about how Almondina came about please read here: Grandmother's Secret. My husband loves chocolate so he first tried the Chocolate Cherry, I first tried the Ginger Spice. We were pleasantly surprised by the crunchiness of the biscuits. The flavors on these are so delicious and unique too. And you may purchase Almondina at many retail stores now. Such as Trader Joe's, & Whole Foods. And many more. Use the Store Locator to find a store near you. If you would like to win a sample pack of Almondina Biscuits as described above. Please enter my giveaway. One winner will win a sample box of Almondina Biscuits. Use Rafflecopter below. I received the product described above for purposes of this review and giveaway only. No other compensation was given & my opinions are my own. 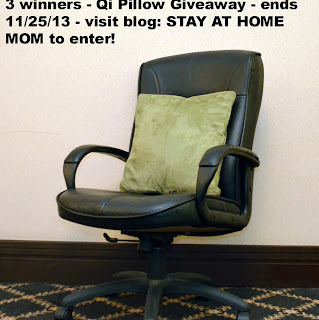 Well the makers of the Qi Pillow are generously letting me do a giveaway. Three (3) winners will win their own Qi Pillow. I want to tell you further how much my huband and I love this pillow. It is great for anyone who needs some comfort for their back while sitting! Update: Giveaway open to US & Canadian Residents! Disclosure: I previously did a review of this product & now sponsor is letting me do a giveaway. No compensation was given, and sponsor is responsible for prize fulfillment. I received another awesome product to review for you, my dear readers. This time it is from a company called Beauty Box 5. Nubar Alter Ego Nail Lacquer in "Blondie"
These are all really great products individually & put them together it makes for a really cute idea. Of course as soon as the Beauty Box came. My daughter immediately took it over. Who wouldn't love to get a box like this on a monthly basis? you get some really cool and unique beauty products to try out. Some well known brands like Aveeno (which we love) and others like the La Fresh Wipes. (which we had never heard of, but now want to buy more) My daughter really loved those. They took off her make-up really well. Pricing starts at just $12 a month! And all members also receive free shipping. You can also gift this to someone. Which I think would make an awesome Birthday or Christmas present! Hi all. 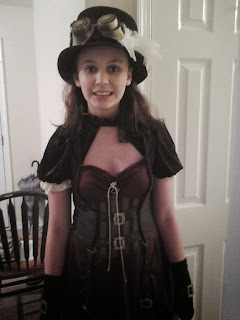 I have posted pictures of my daughter's Halloween costume in the review I did before. But here is some pictures from actually Halloween night. She was actually able to go around the neighborhood with a group of maybe 10 kids. They came to our house for candy, and we were just about to start going out. 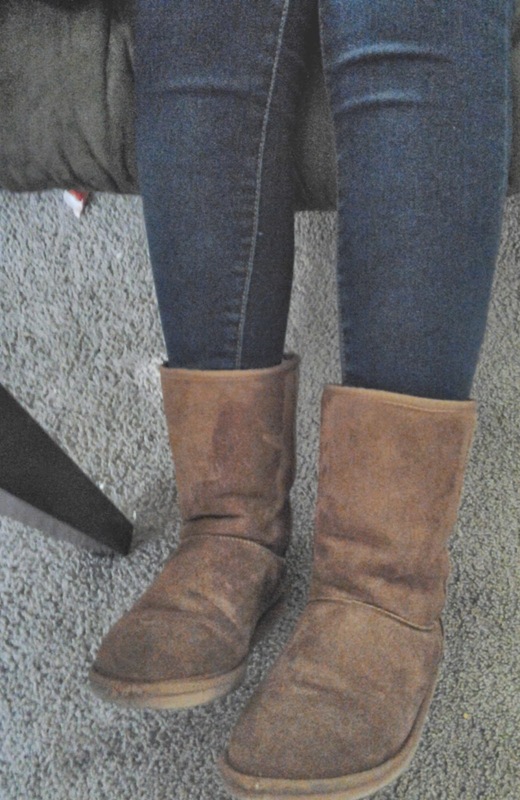 She caught up with them and wanted to go with them. 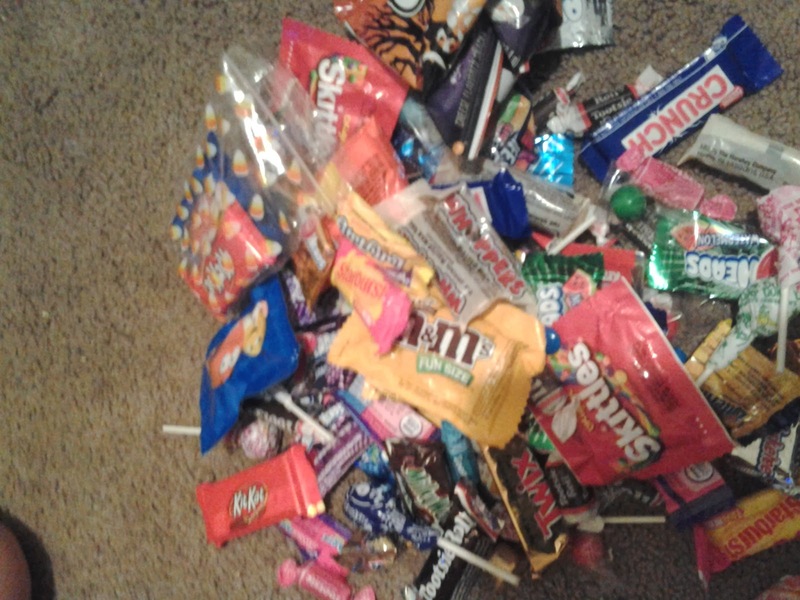 I was able to go home and pass out the candy. The other kids were her age and some even older. And we live in a pretty much closed neighborhood so it was cool. Even though my husband was overprotective and worried. She was home less then an 1 hr and a half later. Hey guys. I was just reading an article. This really may be of interest to my readers out there. It is all about the scariest and deadliest bugs in the world. This article details many things about bugs. There are many people who actually enjoy bugs and like and admire them. And many people study them, etc. And at Orkin they do that too. Not only does Orkin help to control pests, but they also have learned as much as they can about bugs. Orkin has been studying bugs for 100 years, actually. They have scientists on their staff, to keep the science of bugs at the forefront of their business. That's why the created The Ecologist, which celebrates the science and uniqueness of bugs. Please Like the Orkin Ecologist on Facebook & Follow them on Pinterest. Also feel free to share something on the Orkin Ecologist Pinterest board using #BugOut. I have had a few #BugOut moments. Especially since moving. There are some pretty scary bugs where I live now, that I never had encountered where I used to live. One of those such bugs is a spider called the Wolf Spider. These spiders are pretty common, in my area. I will never forget literally the first day I moved into my new house, we had one of these spiders in the house. It was really a #BugOut moment because I had never seen such a huge spider before. Let alone inside my house! Do you have a scary #BugOut moment? What is the scariest bug you have ever seen? Please share using the tag #BugOut. You can do so on all your social networks, such as Facebook & Twitter. Also please share right here in the comments! So whether or not you are a novice or an experienced science lover, I would really encourage you to check out the Orkin Ecologist site. It really is a great educational resource!